Last year, I did a post called ”Friday Favourites: 12 Places Everyone Should See in Liverpool”. I intended to make it a regular thing, but unfortunately life, Christmas, and overtime at work got in the way. 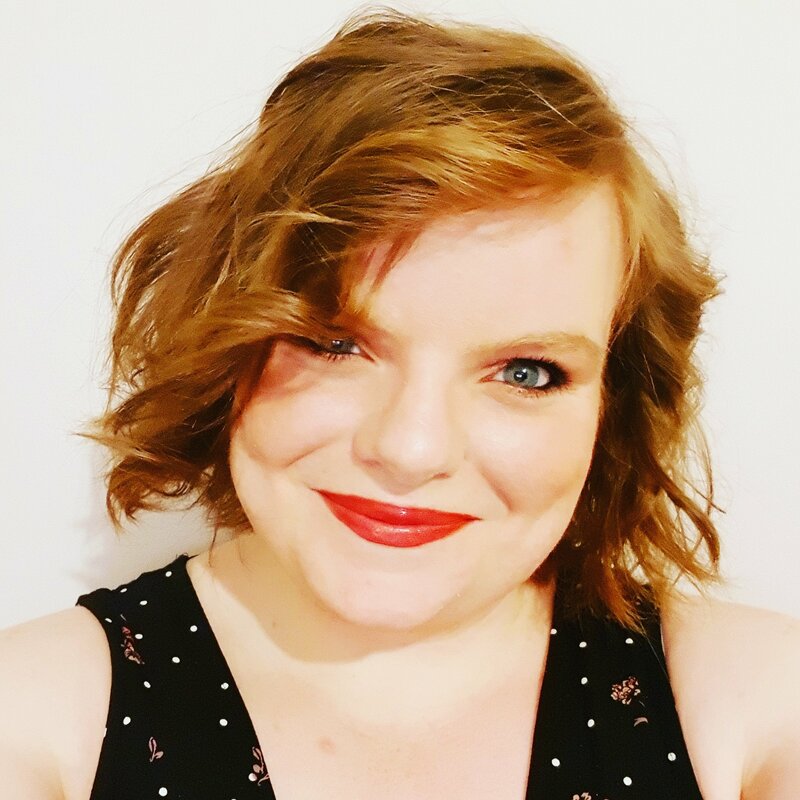 Now as those things are no longer holding me back (as much) from blogging, I am starting it up again. And with it I plan to do what I always wanted to and make this a more regular feature, taking my blog back in the travel direction. 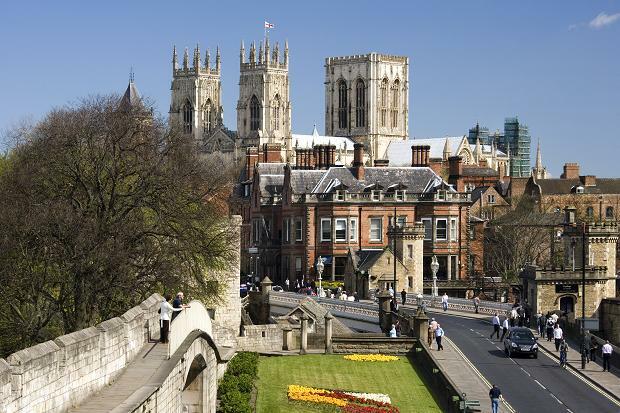 I feel like no list of UK cities will ever by-pass the historic Northern City of York. And there are many good reasons. The Minster (pictured above) the castle, and the dungeons all showcase the city’s impressively rich history, and for those looking for a slightly more unique take on history there is the Jorvik Viking Museum. Train lovers are covered by The National Railway Museum, a personal favourite of mine, which is located just outside the city. 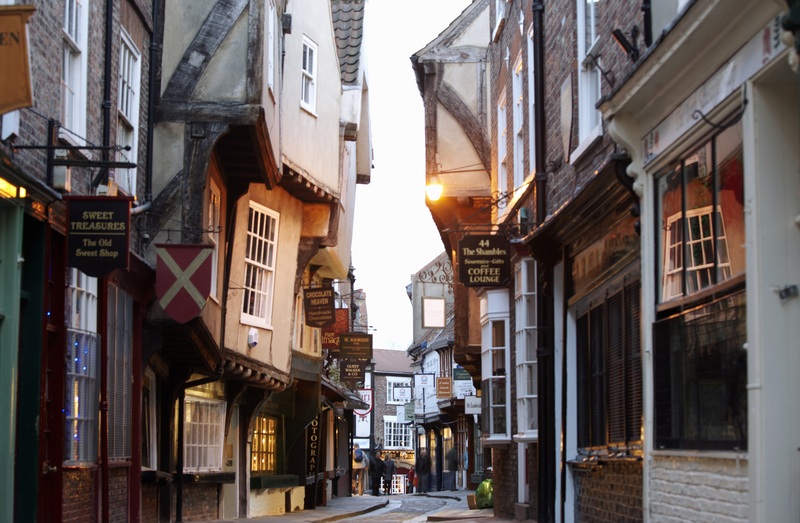 For those who like to wander aimlessly around a city, perusing shops, cafés, nooks, and crannies, there is no better place to do it that The Shambles ‘York’s most famous street is lined with timber-framed buildings housing a range of touristy shops’ (bonus: it is also the place that inspired Harry Potter’s Diagon Alley!). And when you’re done with shops and narrow streets, take a stroll around the old city walls. OK, so some of your may look at this and think this is a little left-field. 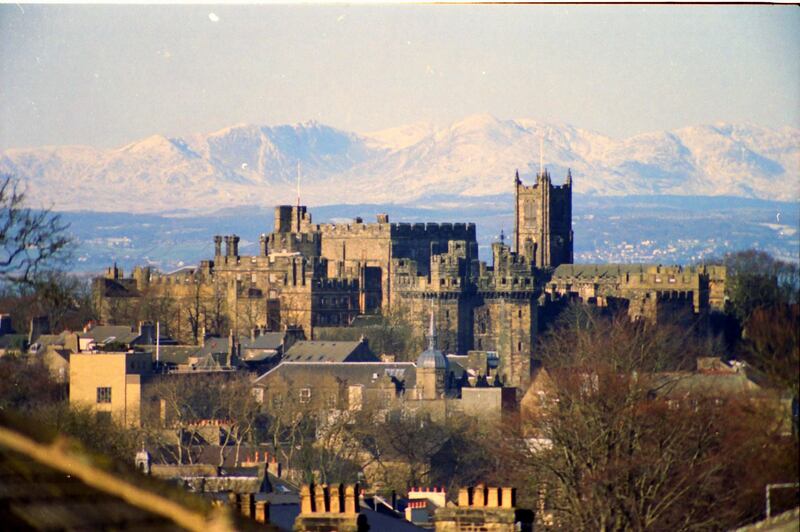 I studied for my degree there, and Lancaster became my home for 3 years. 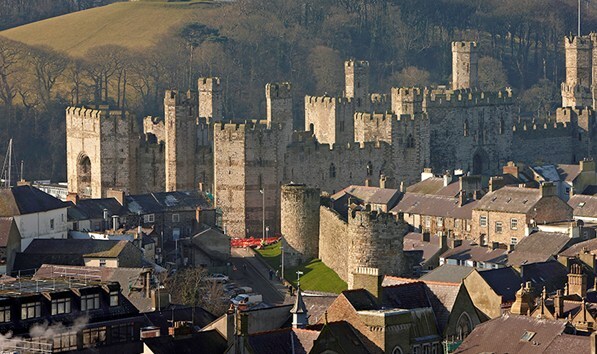 I used to love wandering into town and getting a Diggles’ milkshake, perusing the wool shop for some new blanket squares, getting a Saturday afternoon Hog Roast sandwich, or sitting in the shadow of the castle overlooking the River Lune. Ashton Memorial sits high above the city in Williamson park and provides the perfect spot to cast your eye over the historic city, Morecambe bay, and to the Lake District beyond. Yes, the city is actually quite similar to York with it’s narrow shopping streets, cathedral, castle, and river, and maybe this is another reason I like it so much. It feels very much like York, without the tourists, and is definitely an underappreciated city! I’ve visited Swansea twice, both times to visit my good university friend Sarah. There is something about being shown around a city and the surrounding area by a local who knows the city like the back of their hands, and loves it even more. Yes, Cardiff is good, and has lots of things to do, but for me it is not a patch on Swansea. Taking a trip to Mumble’s on a sunny day is a treat that anyone should want. Wandering up the beach with a Joe’s ice-cream, or getting some authentic welsh cakes from the market, having a coffee atop The Tower in Meridian Quay, or my personal favourite: breakfast from Upland’s Diner. Fancy something a little further out, take a trip up to the beautiful beaches and cliffs of the Gower Peninsula. Home of Wordsworth, and the jigsaw shop, Grasmere is a village/town on the edge of Grasmere lake in the heart of the Lake District. Pretty much every time I visit the Lake District, I visit this idyllic place. 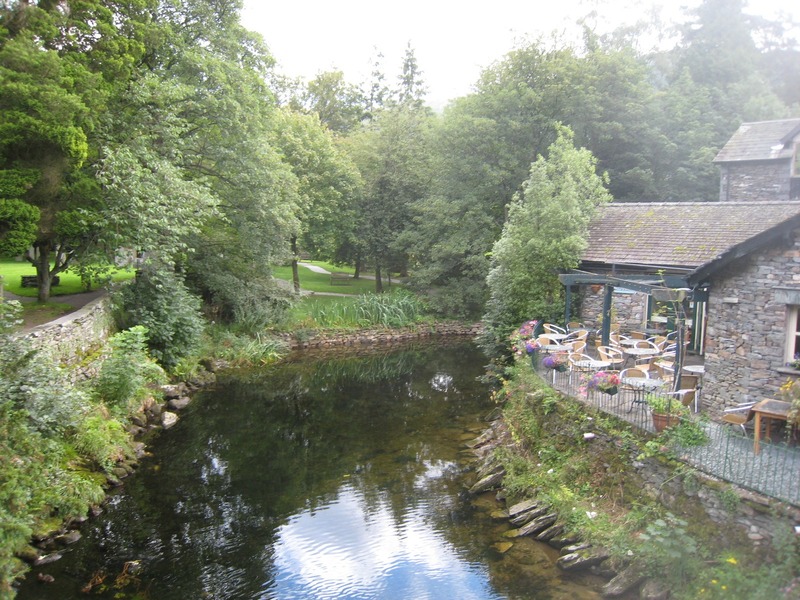 It is a great starting, or finishing point for many Lake District walks and rambles. Add this to the history that Dove Cottage brings, and the wonder that is the floor-to-ceiling jigsaw maze inside the jigsaw shop. It may be small and quaint, but it is definitely somewhere that should be on a list of places to visit when you visit the Lake District. The Welsh city of Caenarfon isn’t that far away from Liverpool, which made it a semi-frequent short break away for my family. This has undoubtedly made me look at it with rose-tinted spectacles, but, it has an awful lot to offer. I remember spending days at the castle watching reenactments and touring the dungeons, and I remember spending hours (read days) on the edge of the marina crabbing, Yes, you read that right, crabbing. Not only did we enjoy it, we introduced my cousins to it, and it has been a family favourite since. 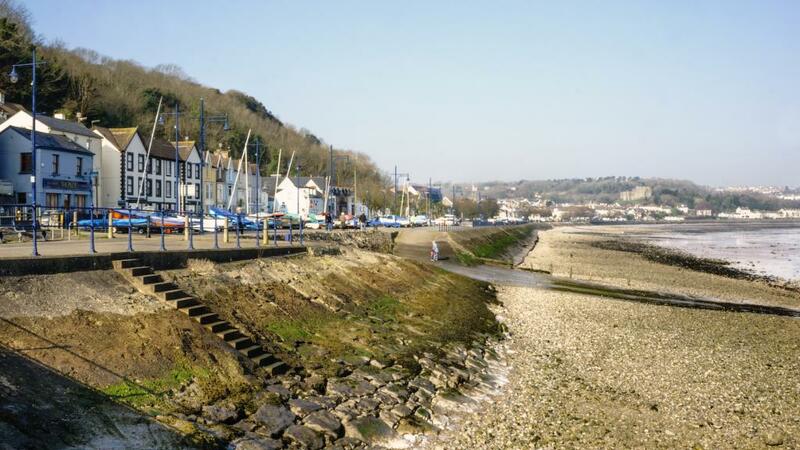 With cafés, town walls, shops, and parks, there is lots to do in this Northern Welsh town. And if you fancy seeing a little more while you’re in the city, check out the nearby island of Anglesey, with it’s plethora of coastal walks and beaches. I’ve only actually been to Stratford once, for a half-day trip with my Aunt, Cousins, and Gran, but that one small taste was enough to make me want to go back. It is a lovely town to stretch your legs and explore the park and river ways, before catching a boat along the river itself. The anglo-saxon market town has hundreds of shops in all shapes and sizes that are housed in some beautiful tudor architecture that give it a uniquely British and historic appearance. And then of course, how could we forget, it was home to Britain’s most famous playwright and poet William Shakespeare. The town is full of his legacy, from the homes he lived in, to the Royal Shakespeare Company headquarters and theatre. 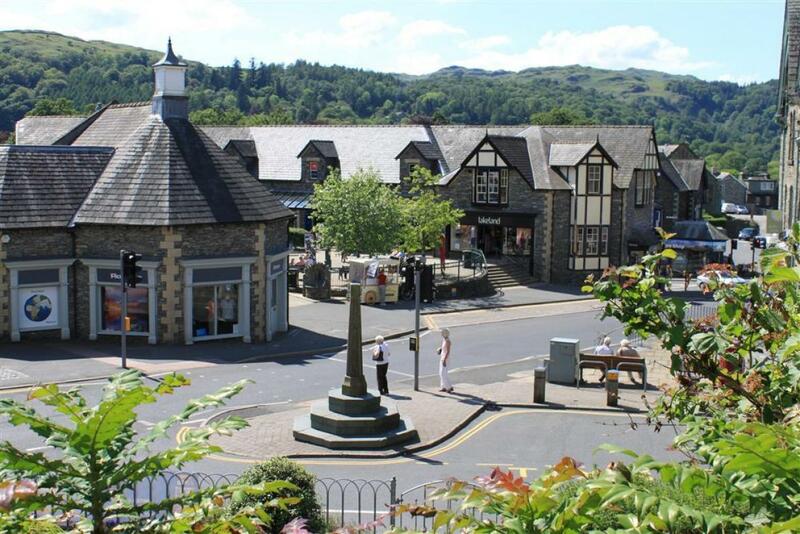 Another stop on the must-see towns of the Lake District is Ambleside. It is home to many wonderful outdoor shops that I genuinely believe to this day are housed in the TARDIS. It has a wonderful charm when you roam the streets, and is located at the head of Lake Windermere itself. For me, it is the gateway to the Lake District, when the towns become more English, and nature is just a stone’s throw away from the town edge. And no trip to Ambleside would be complete without stopping at the infamous Apple Pie shop, which houses so many tasty treats it should be illegal! 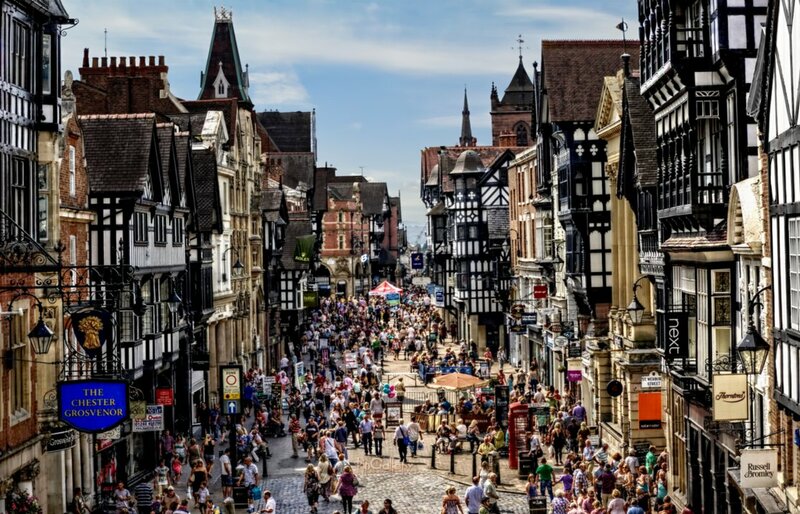 Chester is an old city in North West England that was founded as a Roman Fortress. Yes, you read that right. It has history oozing from it’s pores, and it’s city walls if you like walking round that kind of thing. Not only do the walls shout about the city and its history, take a stroll down the main street amongst the classic architecture, browse the shop windows and get a coffee. If this isn’t you thing, why not check out the racecourse for a spot of horseracing, or swing to the out of town shopping mall Cheshire Oaks for some bargains. Still not your cup of tea? Chester also boasts the Blue Planet Aquarium, your opportunity to go and see the underwater world up close and personal. And down the road, well, in my opinion, one of the world’d best zoos! I don’t think any list of the best UK towns and cities could leave London off. I am not actually a huge fan of the city, but, that said, it has everything you could ever want. Whether it is theatre on the West End, or Music at the O2 arena. Whether it’s football at Wembley or tennis at Wimbledon. The National History, Imperial War, and British Museums battle for the affection of history buffs, while artists flock to the National Portrait Gallery and The V&A. It has parks and the river for nature lovers, Hamley’s and platform 9 3/4 for children (and those young at heart.) Oxford St, Bond St, and Harrod’s please the shoppers, and the Michelin star restaurants satisfy foodies. Building lovers, don’t worry, there’s the Shard, and the Gherkin, or if you prefer your architecture older, then how about the Palace of Westminster or Buckingham palace. 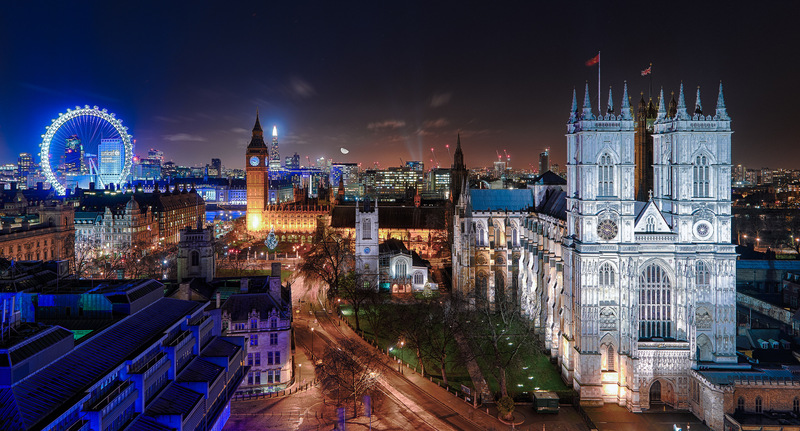 I feel like I have only scratched the surface of what London offers, but really, you all know that, it wasn’t 2016’s second most visited city worldwide for nothing! Are you from the UK and looking for somewhere new to visit? 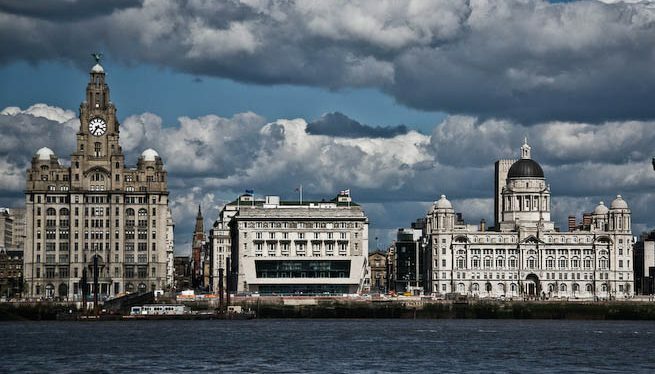 Where are your favourite UK towns and cities? Not from the UK, where did you like to go when you visited?